Hello friends! I was rooting through a bargain beauty bin, and came across these Revlon Colorstay Moisture Stain lip products, on sale for only $2.50 each. I spent about 20 minutes rummaging through the bins, looking for as many shades as I could. I ended up finding six, which I figured is enough for me to put together a review. There were many different kinds of lip products in the bargain bin, what what stood out to me about these were their sleek shape, and bright colors. The Revlon ColorStay Moisture Stains are supposed to drench your lips in glossy, wet color without any stickiness. It is, as the name suggests, supposed to be a moisturizing stain. The wands are quite short, but fit in my hand nicely. It has a doetip applicator, with a hollowed out center that holds quite a bit of product. I really love the design and functionality of the packaging. Here are swatches for each of the shades. From top to bottom: India Intrigue, LA Exclusive, Barcelona Nights, Rio Rush, Cannes Crush, and Miami Fever. I had high hopes for the lip stains based on the swatches. They were glossy, and were high pigment. However, some of the stains did not hold up on the lips. I’m going to split my lip swatches into two categories: good and bad. One of these shades, Miami Fever, takes the prize for the worst lip product I’ve ever tried. Nope, I’m not exaggerating. The formula of these stains were drastically different from the last three shades. They were congealed, goopy, and felt disgusting on the lips. Plus, no matter how I applied, I got super patchy coverage. The formula just slid all over my lips. I worked with the first shade (Rio Rush) for about 10 minutes, and I finally got it looking presentable. However, if you look closely, you can see that it is actually curdled on my bottom lip. The second shade, LA Exclusive, would NOT stay on my top lip. And the final shade, Miami Fever… well, you’ll know what’s wrong with it when you see the picture. 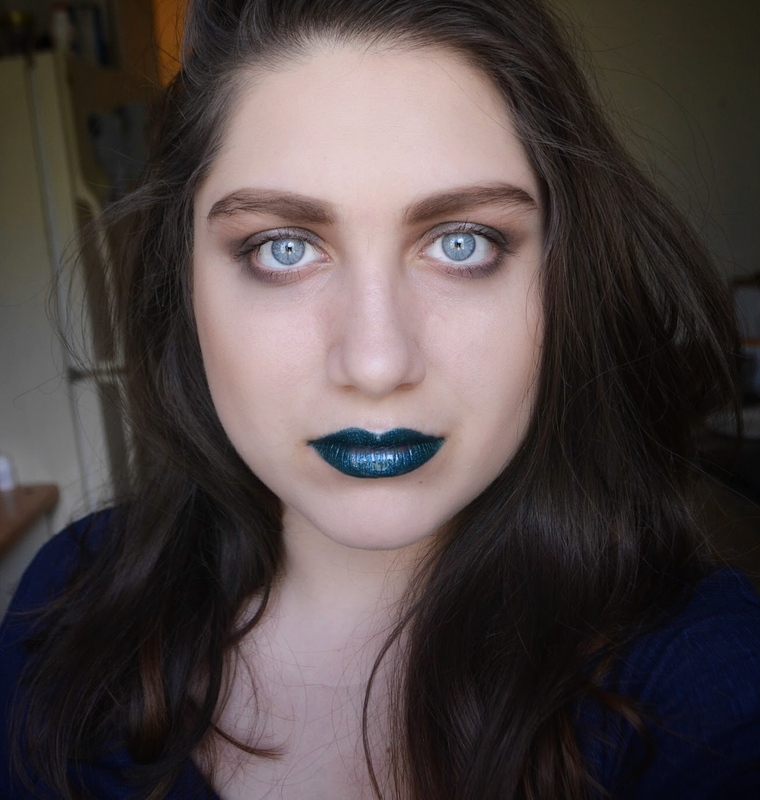 After testing the lipsticks, I did a bit of digging around online. Revlon no longer sells this product, but you can find it on sale for 50% off at Walmart, Walgreens, and Amazon. This leads me to believe that the product is leftover from a couple years ago, and is nearing its expiration date. That would explain the congealing texture of some of the shades. They also had quite a bad taste as well. This product may have been amazing when Revlon first released it but it is now quite disappointing. If you come across this on sale at your favorite beauty store, DO NOT buy it. It’s rubbish now, and even at a bargain price is still a waste of money. Great post! Thanks for sharing 🙂 such a shame that it’s a garbage product now. Love your lip swatches!! This is a really great, thorough review! I love lip stains so it’s nice to know this information about Revlon. Thanks so much!! I had a couple of these a few hears back. My favorite was a darker brick shade that did actually leave a stain. I also had a berry shade that was similar, so maybe the stain worked with either the darker shades or with the products before they expired. I bought one awful coral shade twice that looked straight-up Cheetos orange on my lips (possibly Miami Fever). I was originally drawn to the packaging like you, and while I loved my two good shades, I was always a little confused with the formula because the glossy part faded so quickly. It’s a little sad to see these discontinued! The colors looked nice! I always love trying different lip products. Such a shame that it has been discontinued! I definitely remember seeing these when they came out. I think if I’m correct they never were that loved either when they came out. It’s crazy that’s it’s listed as a stain when it’s not.